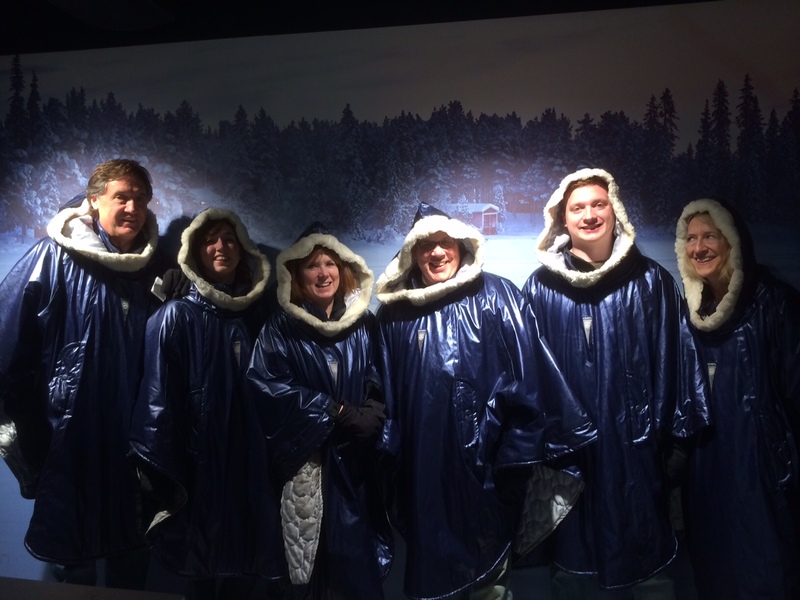 At the end of the day, some of us decided to visit the Ice Bar. 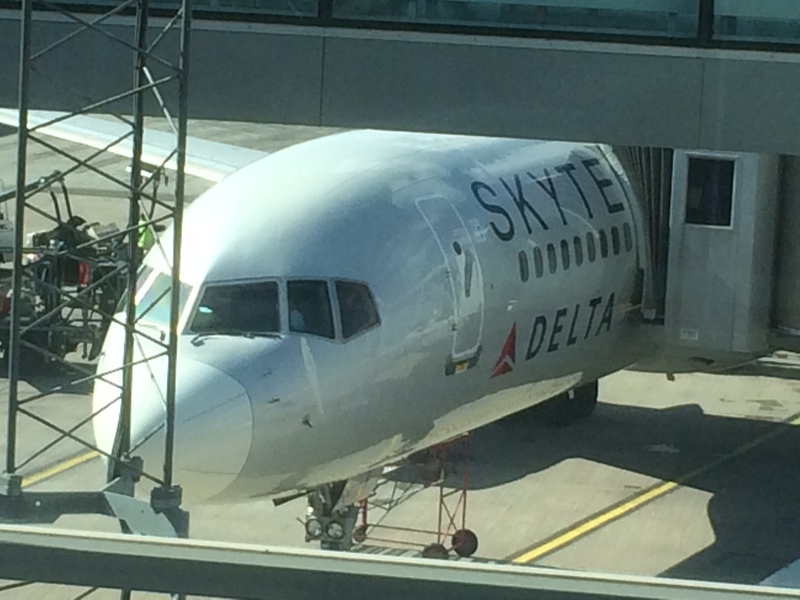 A unique experience. Before entering the Ice Bar, the patrons all have to put on heavy winter coats with big hoods to protect against the 19 degree cold. Stockholm, Sweden. On the SCANDINAVIAN TOUR. August 27, 2014. A brilliant day for our return to the US. 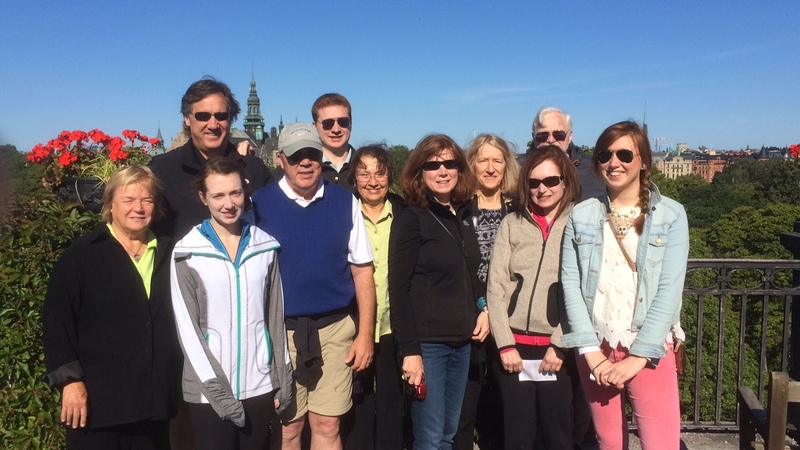 Great group, exciting food, incredible landscapes and lots of fun. Stay tuned for mid September’s FROM THE ALPS TO THE RHINE. The day begins in the Skansen Open Air Museum. similar to Greenfield Village. Homes, businesses, churches and other structures representing all eras of Swedish life and times were brought here to be preserved. Stockholm, Sweden. On the SCANDINAVIAN TOUR. August 27, 2014. 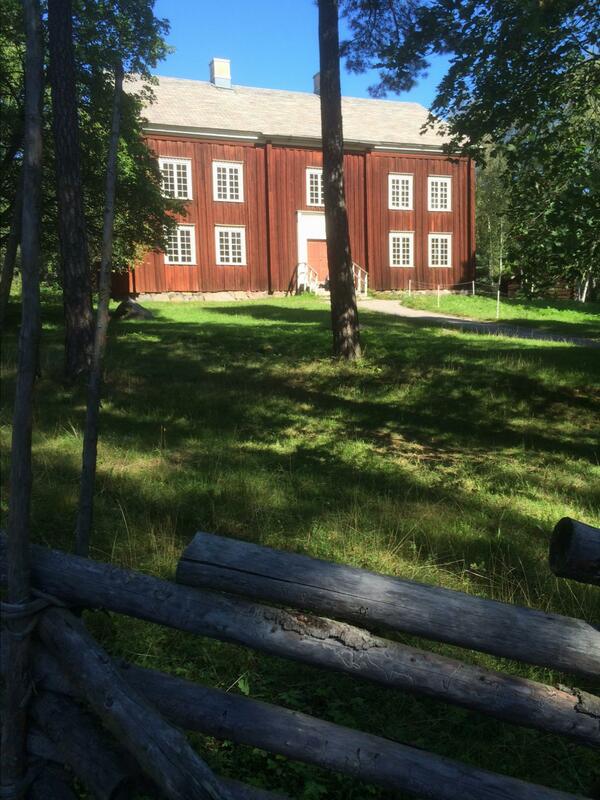 The 200-year-old farmhouse where the founder of this museum was born. It looks like a van Gogh painting on a bright blue day. Stockholm, Sweden. On the SCANDINAVIAN TOUR. August 27, 2014. 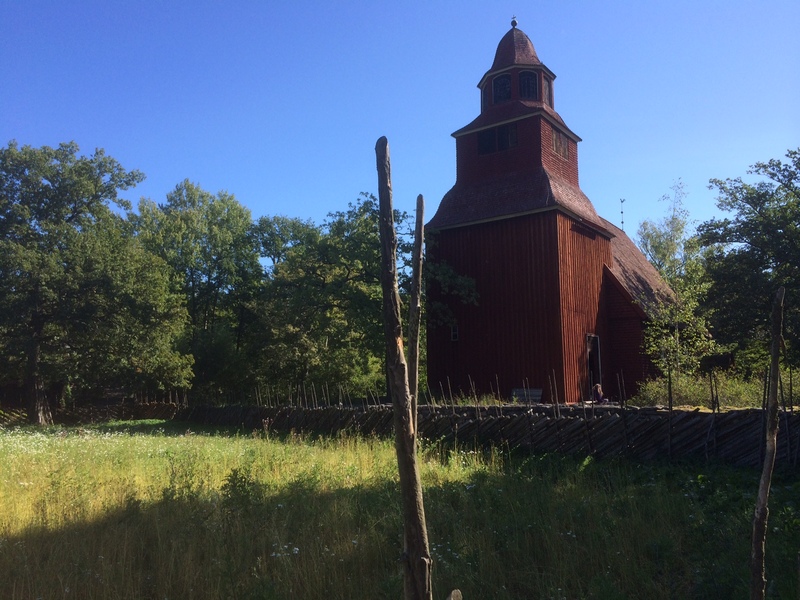 A nearly 400-year-old typical Swedish country church, brought to this museum about 110 years ago. Stockholm, Sweden. On the SCANDINAVIAN TOUR. August 27, 2014. 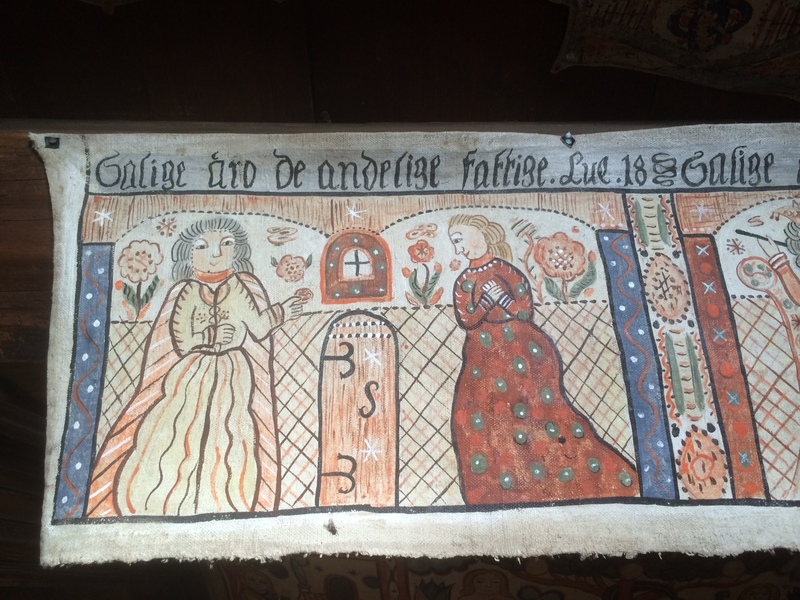 Wall decorations that depict scenes from the Bible, as interpreted by 17th century artists, hanging in an old farm house from the early 1700s. Stockholm, Sweden. On the SCANDINAVIAN TOUR. August 27, 2014. 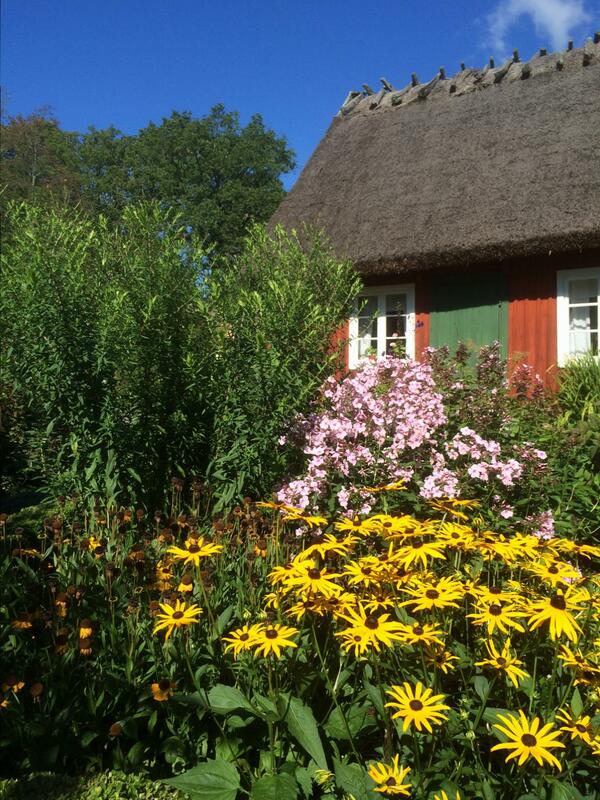 A 400 year old farmstead from southern Sweden, now in the Skansen Museum. Stockholm, Sweden. On the SCANDINAVIAN TOUR. August 27, 2014. 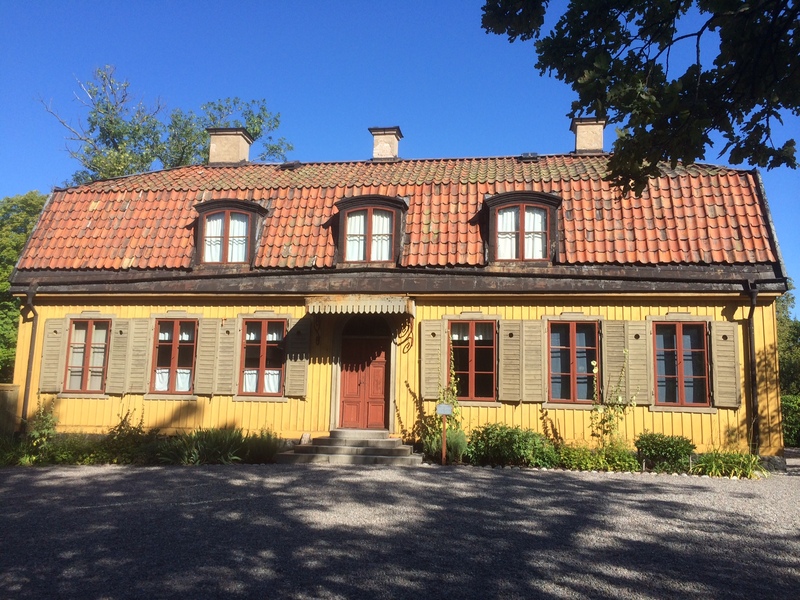 A huge landowner’s home from 1700 originally built in eastern Sweden but now in Skansen. Stockholm, Sweden. On the SCANDINAVIAN TOUR. August 27, 2014. 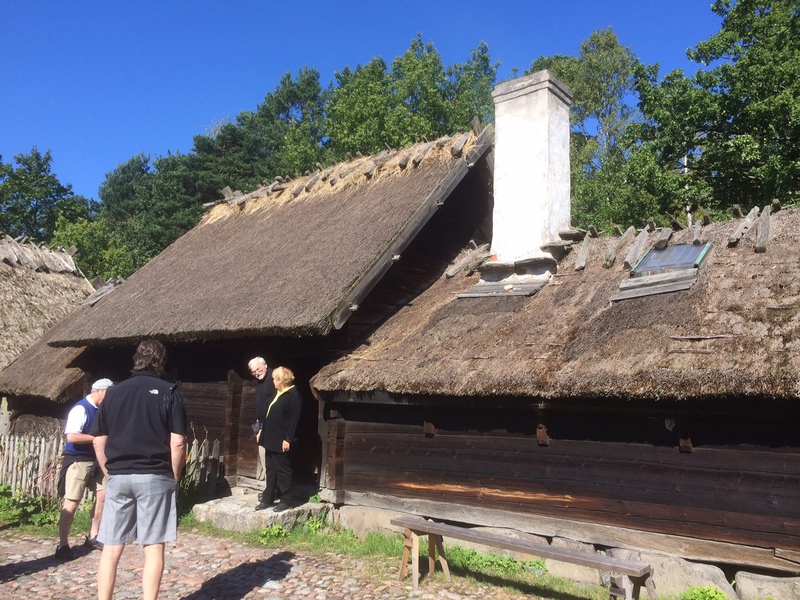 Hey typical Swedish farmhouse from the 1600s, now in Skansen. Stockholm, Sweden. On the SCANDINAVIAN TOUR. August 27, 2014. 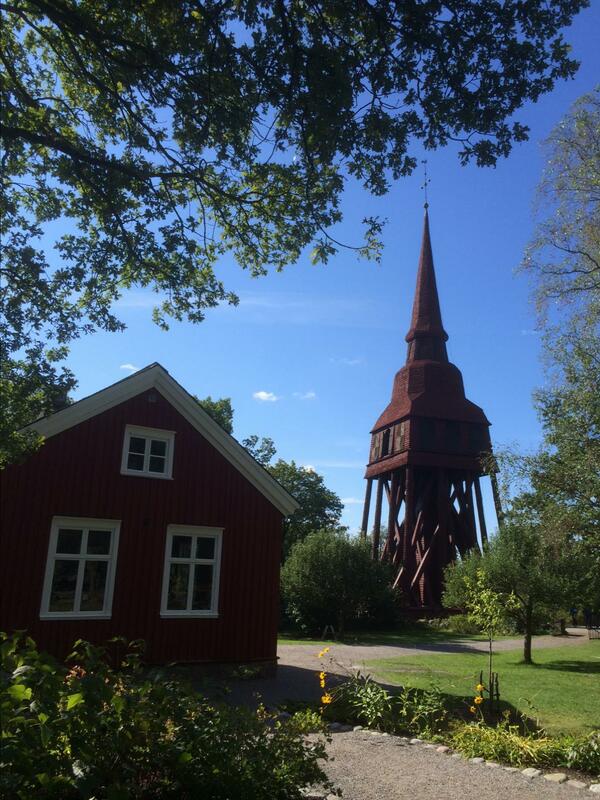 A 300 year old belfry from a church in northern Sweden, brought to Skansen in the late 19th century. Stockholm, Sweden. On the SCANDINAVIAN TOUR. August 27, 2014.